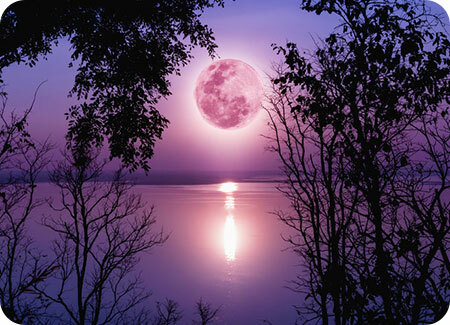 The moon controls the water and tides of planet Earth. About 71 percent of the Earth’s surface is water-covered, and the oceans hold about 96.5 percent of all Earth’s water. Water also exists in the air as water vapor, in creeks, lakes and rivers, as well as in icecaps and glaciers, and in the ground as soil moisture. So, the fact that the moon has such a strong affect on the water of our planet, shows the deep impact she has on all of Earth and her creatures, who are also made of large amounts of water. Our bodies are made of roughly 60% water. The word ‘lunatic’ comes from the Roman moon goddess Luna. In ancient Greece and Rome, philosophers claimed that the water in the brain was subject to the same kind of tidal motions as the sea, creating a wave of strange behavior whenever the moon was particularly full or large in the sky. It makes sense, that if the moon can have such an impact on the Earth’s waters, it would also affect our psyches and bodies. My clients often call me during full moons to describe strange behavior in others, much like they call about the strange affects Mercury in retrograde has on their machines and communications. I have also had clients tell me they had sleepless nights or strange dreams during a full moon. The full moon can even affect a woman’s menstruation cycle. While the moon’s cycle is fixed at about 29.5 days, a woman gets her period on average every 28 days (though this varies from person to person). Some women have stated that their cycle changes when it is a full moon. Dr. Selim Benbadis, MD, associate professor of neurology and neurosurgery at the USF College of Medicine attempted to find a scientific correlation in 2004. His study published in the journal Epilepsy & Behavior found that the number of epileptic seizures were highest in the moon’s last quarter and at their lowest during the full moon, showing that the moon can have an effect on seizures. I believe in Astrology and the affects of the planets influences in our lives. I have witnessed it personally and professionally. However, I also feel that the more centered you are, the more you can offset any negative sway astrological influences may have on you, including the effects of the full moon. Today’s full moon marks the arrival of the Pink Moon, traditionally named by some Native American tribes for the little pink flowers that appear in the meadows at this time of the year.